For almost 100 years, KitchenAid has been serious about food - creating products that combine professional performance, artisan quality and classic design. Fill your home with the smell of baking and whip up professional quality cakes, treats and bread in no time with KitchenAid’s impressive baking range. Start your day with the perfect cup of coffee or a great mug of tea. With KitchenAid’s range of stylish kitchen essentials you can easily update your kitchen. 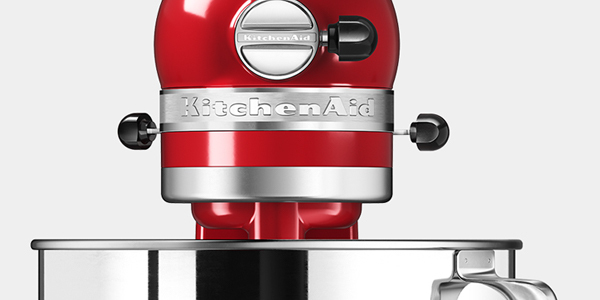 Get creative with cooking using KitchenAid’s culinary range. Reinvent recipes, create new mixes and perfect tricky techniques. Add extra vitamins to your diet and get the most out of your favourite fruits and vegetables using KitchenAid’s blenders and food processors.